Our Sailing adventure begins . 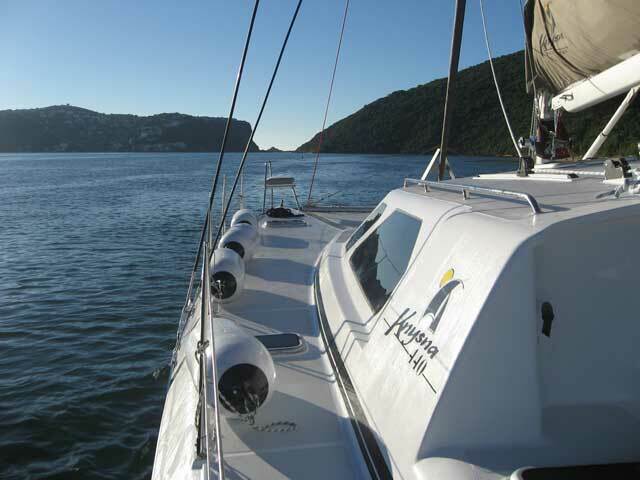 . .
We, Kevin, Laura, Salty & Pepper are embarking on a sailing adventure in our tried and tested Knysna 440 catamaran. 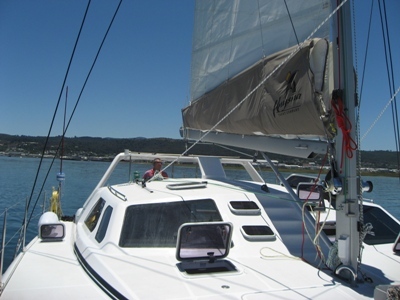 Our Web pages will take you through the year long trials and tribulations in preparing the catamaran for self-sufficient cruising, as well as making it as homely and comfortable as possible and then on to the escapades and ‘hully gully’, bearing the fruits of our labour. We would hate you to miss anything so please remember to refresh your web browser to see any new additions we may have added to our website by pressing the F5 function button everytime you visit our site.